Last Week in Mutual Funds: 16th March - Large Cap Mutual Funds outperformed. The market surged last week with large-cap index and thus large cap Mutual Funds leading the rally. Overall risk appetite improved after foreign investors ramped up buying in the domestic equity market. The Sensex crossed the psychological 38,000 level. Infrastructure funds continued their out-performance for the second consecutive week, with four of the five top performing funds last week from this sector. India’s trade deficit fell to a 17-month low in February, as imports fell owing to a sharp drop in oil purchase cost and exports rose by 2.4%. 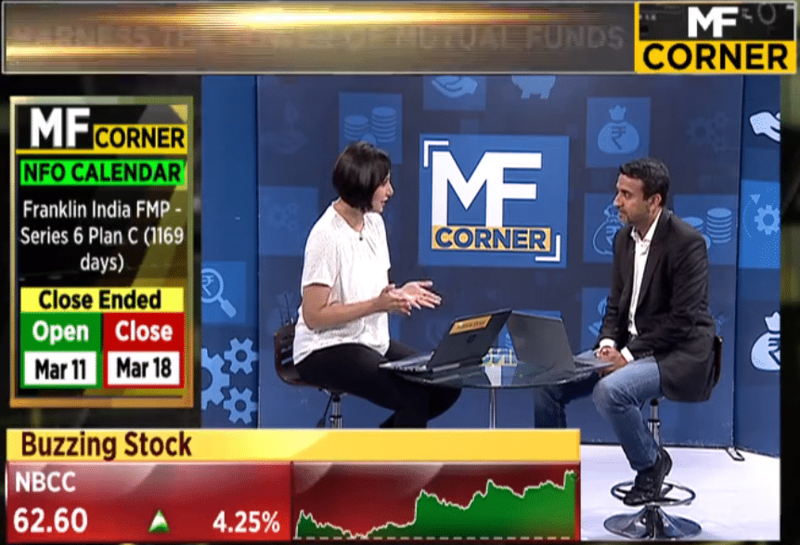 Our CEO Gaurav Rastogi was at Mutual Fund Corner with Sumaira Abidi of CNBC-TV18, answering MF queries. If you missed it, you can watch it below.